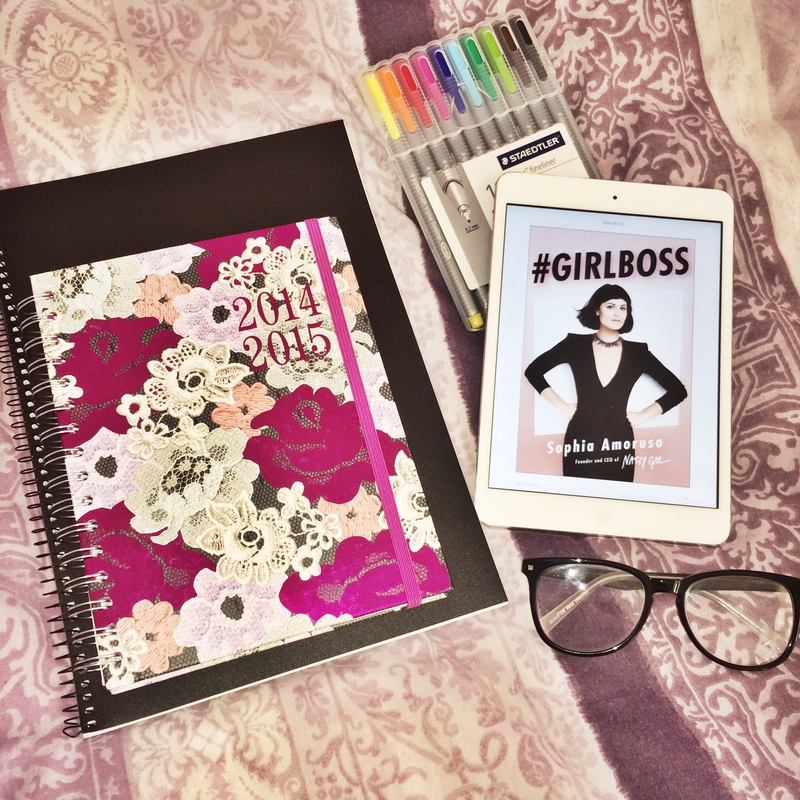 As it is the beginning of the school year for me I decided that this year (compared to last year) I was going to try and be a more positive, motivated and organised person when it came to my college work and also my personal life. We all know that going back to school/university/college can be draining and leave you feeling unmotivated because we all want it to be the beginning of summer again (if only). 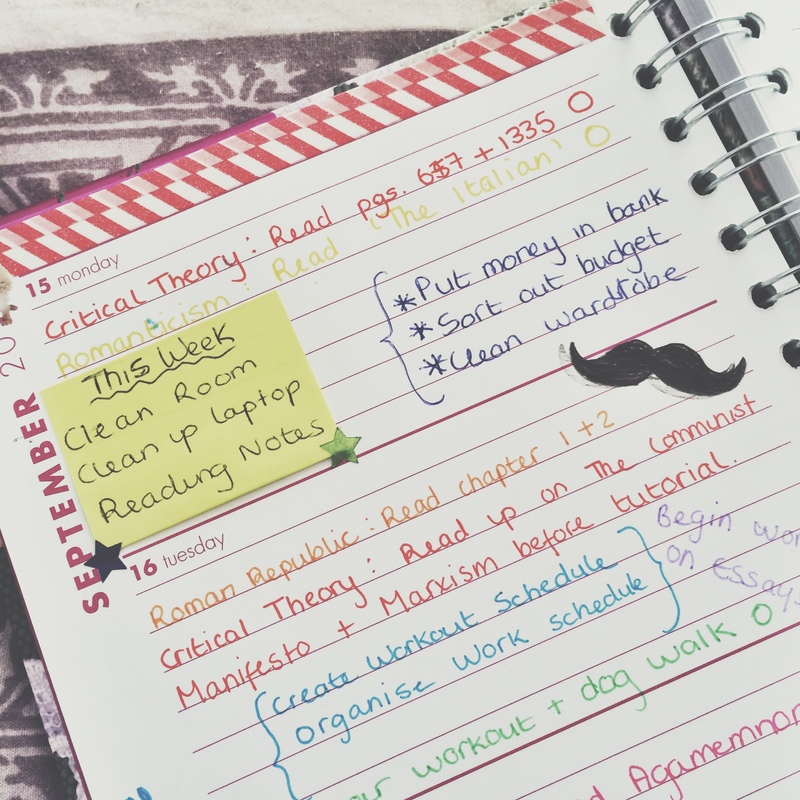 In order to stay motivated and organised I assigned myself certain tasks to complete daily/weekly and have found that it is working well for me so far so I thought I would share them with you all! 1. I find that I can easily become down and discouraged if I begin to get really busy at college and I often don’t get enough sleep (something I’m also working on) so I find it important to stay motivated and I do this through reading. I love reading biographies/autobiographies about people who have really worked hard for everything they have achieved in life whether they founded their own business, websites or even if they just became the best they can be at their chosen career. Reading these type of books thoroughly motivates me and helps me realise that although college is tiring it’ll be worth it in the end when I have chosen and hopefully excelled in a career I enjoy. 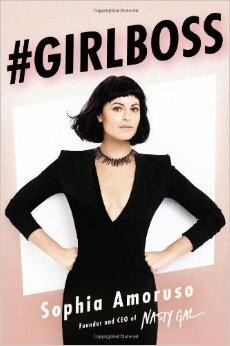 The book I am currently reading that is a prime example of this is #GIRLBOSS by Sophie Amoruso, the founder and CEO of Nasty Gal. This girl is hardworking and has clearly done well for herself, something that motivates me to work hard. 2. Another simple way I like to stay motivated is motivational quotes. These are by far one of the most motivational things for me, they can lift me up when I’m having a bad day and make me realise that there is always tomorrow and this bad day doesn’t mean I have a bad life. I usually find my quotes on Instagram, Pinterest, WeHeartIt and even Tumblr. Most of the time I type in ‘motivational quotes’ or ‘quotes’ into the search bar and I can guarantee that something of use will pop up in my feed and help me with my bad day. 1. Using an organiser/planner has helped me immensely so far this year and I couldn’t be happier with the one I’ve chosen and the way I’ve chosen to do it. I update my planner daily, during and after college in order to keep up with schoolwork/deadline and also social aspects of my life. Below is a sample of my planner, this was the first two days of last week and as you can see I really jot down everything involving my life, not just school work. I find that this method helps me and I also feel productive if I complete all the goals I set for myself each week. I also find that colour coding my modules/classes has also helped, I colour coded my schedule and this way I can easily identify with different classes and homework and it helps me keep organised. In order to lift my spirits I find being crafty with my planner motivates me to write in it and complete my tasks so I decorate the top of my pages with red and white stripped washi tape and I also place stickers and use different stamps in different places create the week. This helps my planner stay bright and cute which in the end helps me stay organised. You can connect with me here: Bloglovin‘ Twitter, Instagram, WeHeartIt and on my Tumblr accounts – Primary and Hockey. If you enjoyed this post please let me know what you enjoyed in the comments. If you have an requests for future blog posts please don’t hesitate to comment also!